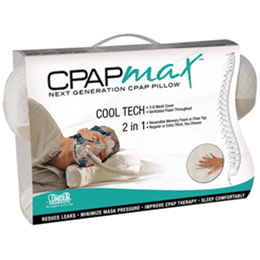 The CPAPmax Pillow features a removable center layer for pillow thickness adjustability. 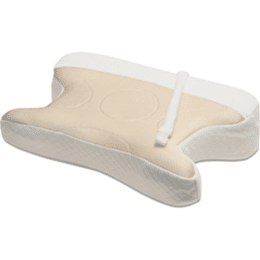 Its advanced 2- in-1 design allows patients to choose traditional fiberfill or plush memory foam as a sleeping surface. 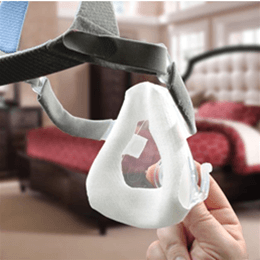 A highly resilient foam core ensures that the pillow maintains its shape for superb mask accommodation. 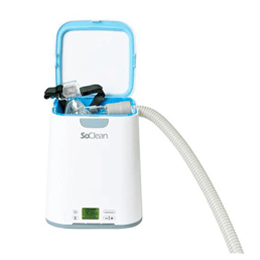 Additional upgrades include ventilated foam for coolness, a center depression for back sleepers, and a broader facial area for side sleepers. The 2-sided cover features a cool layer of 3-D Mesh fabric, while the other side is infused with a thick layer of fiberfill for a more traditional feel.